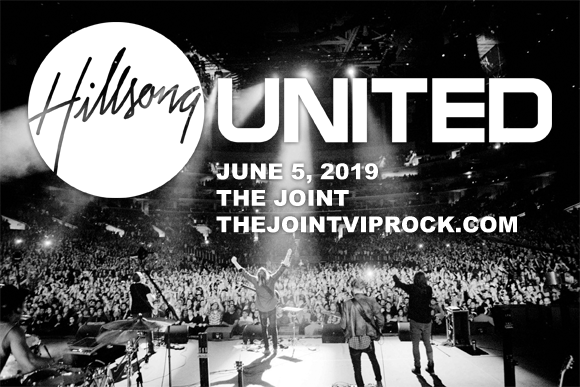 Multi-award-winning, platinum-selling, Billboard Christian chart-toppers Hillsong United come to The Joint at Hard Rock Hotel on Wednesday 5th June 2019! The internationally esteemed worship group will be leading a night of praise and worship, connecting with God and each other in fellowship and joy! Joining the collective will be Amanda Lindsey Cook and Mack Brock! Platinum-selling Christian worship band Hillsong United hail from Sydney, Australia and formed in 1998 as part of Hillsong Church's youth ministry. Originally a house youth worship band, the group now consists of a rotating collective of worship leaders from the church, including Grammy Award-winning songwriter Brooke Fraser, Joel Houston, Reuben Morgan and Marty Sampson. The original group was encouraged by church worship leader Darlene Zschech to record their songs and they their debut EP, One, in 1998 alongside the Hillsong Worship album Touching Heaven Changing Earth. To date, Hillsong United has released eleven annual live albums and four studio albums, as well as nine live DVDs. They have won eight Dove Awards and a Billboard Music Award for Top Christian Artist, as well as earning two American Music Awards nominations.